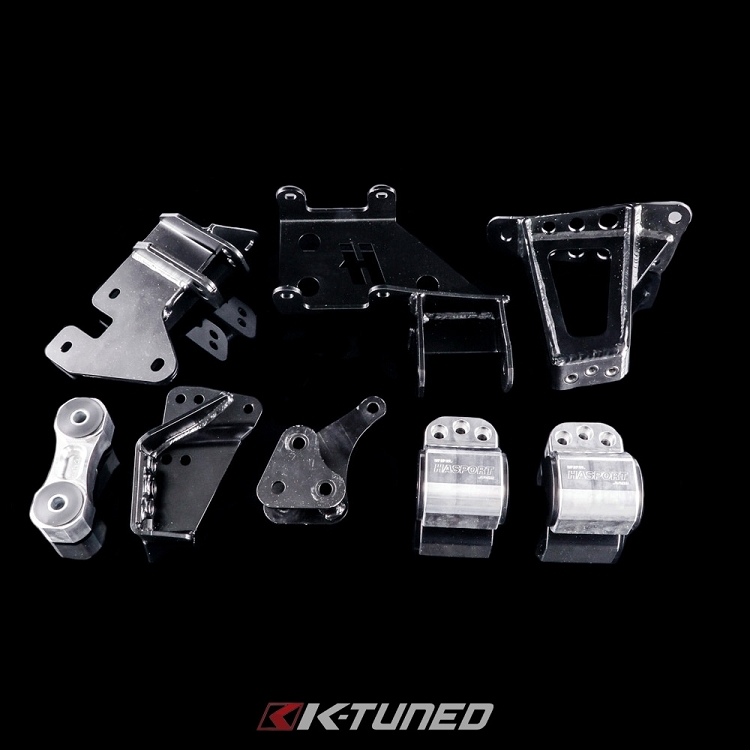 This kit is a new take on the popular drag setup that leans the K-series engine forward for more clearance for big turbos or improving intake systems on those running individual throttle bodies. Using HasportÍs patent pending dual height engine mounts keeps the head in the same location. Headers, intakes, and turbo kits will fit the same no matter which engine you choose - K20 or K24. Redesigned brackets make this kit much more street friendly by changing the angle the mounts so the urethane can perform the way it was designed to. Like all our kits, the mounts and brackets were designed and manufactured using state-of-the-art CAD/CAM software and manufactured at HasportÍs facility in Phoenix, AZ.